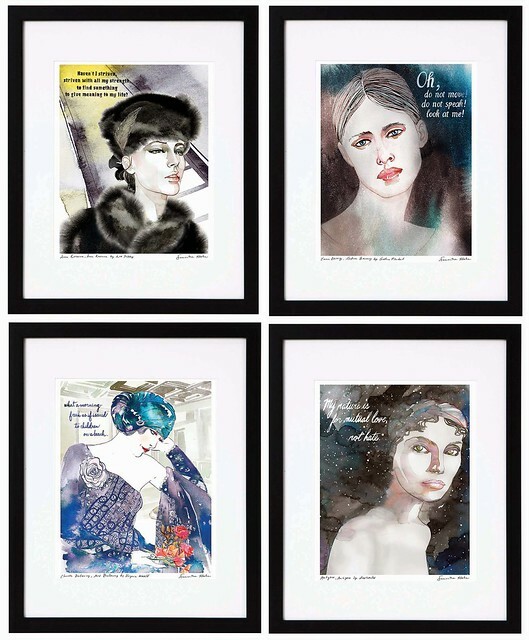 I’m so thrilled to be able to share the news that prints of some of the most popular female characters in literature from my book Well-Read Women: Portraits of Fiction’s Most Beloved Heroines are now available exclusively through Uncommon Goods. 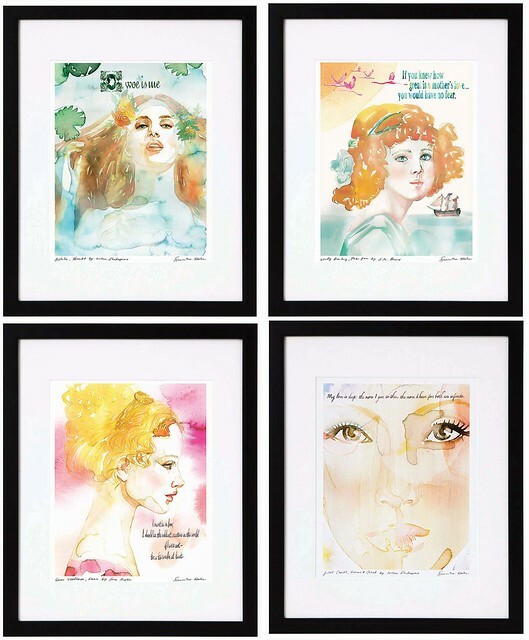 Limited edition prints from the original watercolors are available framed with a certificate of authenticity signed and numbered by me. Prints are made with archival pigment ink, and a archival paper exclusively at UncommonGoods in editions of 200. Characters include: Antigone, Anne Shirley, Ophelia, Juliet, Emma Woodhouse, Emma Bovary, Wendy Darling, Clarissa Dalloway, Alice and Anna Karenina.